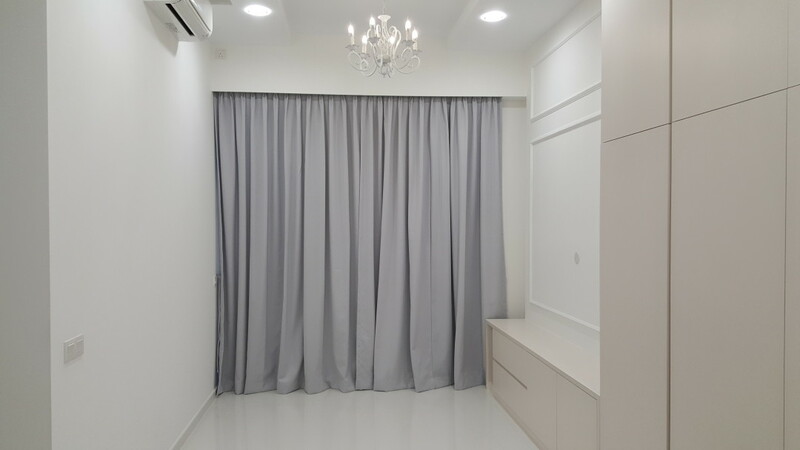 Day and night curtains installed for a 3 bedded room located at Dairy Farm heights, Skywood condo. Fully furnished with our US brand outdoor roller blinds and blackout film. The home theme is very elegant and pretty with clean and roman colour chosen for the fittings and furnishing.